With unexplained symptoms worsening daily, Elise Athas' health was spiraling downward quickly until she came to Mayo Clinic and discovered a program that helped her cope, recover and heal. When Elise Athas arrived at Mayo Clinic in November 2017, she was a shell of her old self. Gaunt and weak, the former runner needed a wheelchair to move more than a few feet. And despite being fluent in two languages, the social 33-year-old had all but lost her ability to speak. The previous 22 months had been fraught with medical turmoil, and none of her doctors had been able to explain what was wrong or offer Elise a way forward. Elise's medical nightmare started with a case of shingles. A cascade of maladies followed, including viral encephalitis, extreme fatigue, cognition problems, gait issues, facial paralysis and speech difficulty. The San Francisco Bay-Area resident no longer could exercise, was forced to stop working and rarely left her apartment. "No one was able to tell me what to do. I was in so much pain," Elise says, adding that she was bedbound for months prior to coming to Mayo Clinic. "I know that Mayo is the world's best clinic, and I didn't know where else to go besides them. This was my last resort." The trip from California to Mayo Clinic's Rochester campus paid off. At Mayo, in the Department of Neurology, Elise heard words she'd been longing for. "Hearing Dr. [Michel] Toledano say, 'I think we can help you,' I was like, 'Whoa, what did you just say? Can you repeat that? Are you sure?'" Elise says. "Just the fact that there was someone saying these magic words, 'I think we can help you.' It was reassuring." 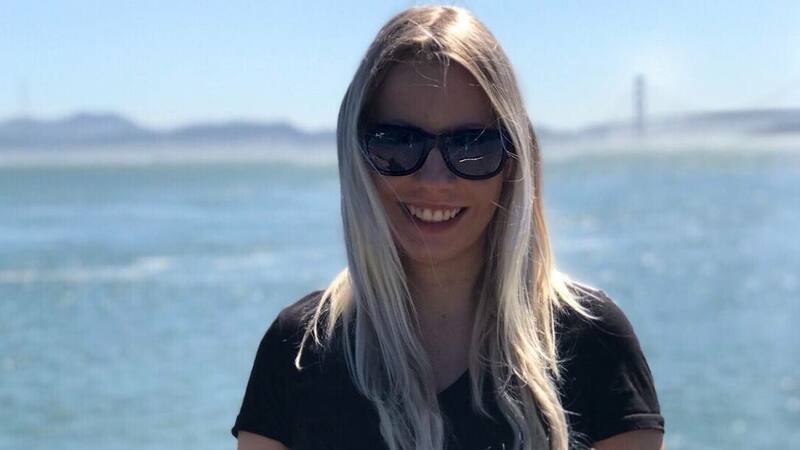 Not only did Elise learn that her symptoms could be helped, she also discovered the name of the condition she had been grappling with: functional neurologic disorder. The condition is characterized by the expression of nervous system symptoms that cannot be explained by a structural or metabolic disease of the nervous system, or by another medical disorder. However, the symptoms are real and cause significant distress or problems functioning. Three months after receiving her diagnosis, Elise participated in Mayo Clinic's Behavioral Shaping Therapy, or BeST, Program. 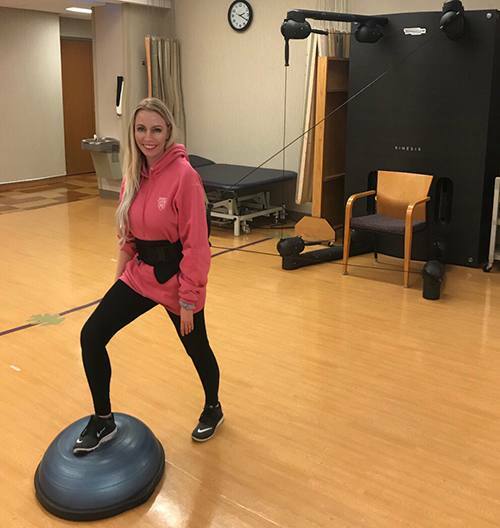 An intensive, five-day course involving physical therapy, occupational therapy, psychiatry and speech therapy, the program restored Elise's ability to walk and talk. "The program changed my life. It couldn't have gone any better," Elise says. "I'm not completely healthy yet. I still have a long road to go. But being able to walk and talk normally again is the foundation of my continuous rehabilitation and my ability to live a normal life again." Functional neurologic disorder, sometimes called conversion disorder, affects up to one-third of individuals who seek medical treatment for neurological symptoms, says Jeffrey Staab, M.D., of Mayo Clinic's Department of Psychiatry and Psychology. In functional neurologic disorders, the body's underlying equipment, such as the brain, nervous system and muscles, is structurally and anatomically normal, explains Jeffrey Thompson, M.D., a physiatrist in Mayo Clinic's Department of Physical Medicine and Rehabilitation. "But the problem is the motor program to run those things has been disrupted for some reason," he says. "It's not clear exactly how that happens," Dr. Thompson adds. "Often there's some kind of traumatic event, but at least half the time people aren't able to pinpoint anything. They just lose the ability to move normally." In Elise's case, the combination of nervous system infections and a psychologically traumatic response to her illness set the stage for her symptoms to surface, Dr. Staab says. "The most important thing is we do know how to diagnose them and how to treat them, even though we don't understand everything that's going on with them." — Jeffrey Staab, M.D. Although the behaviors are abnormal, they become automatic and disconnected from conscious thought, Dr. Staab says. "So therefore patients can't consciously stop or control them." While most physicians are trained to dispense treatments only when they identify a specific medical diagnosis, a change is afoot regarding how to treat neurologic patients who lack underlying structural causes for their symptoms. "In the past we would tell patients that problems like these had to have a psychological cause. Now we're starting to say that we don't particularly care how they got this abnormality. We can work with them to fix it," Dr. Staab says. "The most important thing is we do know how to diagnose them and how to treat them, even though we don't understand everything that's going on with them." For Elise, having validation that therapy existed — even when a permanent neurological injury did not — was revelatory. "Sometimes, you can give someone hope just saying that you can do something," Elise says. "I believed my doctors at home when they stated that they couldn't find a physical cause for my symptoms. But the lack of a treatment plan while my health continued to deteriorate left me hopeless. I needed an action plan and how to approach it, and then I could run with it." The BeST Program — one of only a handful like it in the country — works by reshaping the abnormal behavioral patterns. Before being accepted into the program, which can accommodate about three patients a week, Elise had to accept and acknowledge that her condition lacked a physiological cause. "In Elise's case, she just can't say, 'Stop that!' and be able to speak normally because there's a pattern that's settled in that's not accessible to her conscious," Dr. Staab says. "What the physical therapists and speech therapists are doing is teaching patients about those abnormal behaviors and how to reset them back to more natural ones that they keep practicing over and over again until they break the pattern." Elise began the weeklong program by meeting with a doctor in Physical Medicine and Rehabilitation. After that, each day consisted of two physical therapy sessions, two occupational therapy sessions and one speech therapy session. BeST patients also meet with a psychiatrist or psychologist, and they have a return meeting with their neurologist when the program concludes. Elise says one of the first things she learned was the importance of coordinating her movements, even the tiniest motion, with her breath. She was directed to be purposeful with each movement, with a goal of uncovering the normal behavior. "You get control back by relearning your natural movements, so you can do them without thinking about them," Elise says. "It's using the muscle memory from what I was used to before." During the program, Elise was asked to push herself to the edge of where she was comfortable. "We'd always go to my limit, but not 1 inch more," Elise says. "You have to deal with being a little uncomfortable." According to Dr. Thompson, the program's rigor is essential for it to work. "It's a gradual building back of the movement patterns that are still there. Usually what happens is there's an 'aha!' moment when suddenly things just work better again. They've clicked again," he explains. "Then it's a matter of reinforcing that behavior to really cement those movement patterns back in place. That's where the intensity comes in." While not all patients leave BeST fully functioning — some have gone through the program multiple times — the course gives them the tools they need to combat a relapse. "Like any habit, it's not necessarily broken for good," Dr. Staab says. "But a lot of people, if they stick with it, will do well. From a physician's standpoint, we need to give them encouragement and a sense of resilience, so if they have setbacks, they know how to manage that." Learn more about functional neurologic disorders. Read about the Department of Physical Medicine and Rehabilitation. Check out the Department of Psychiatry and Psychology.